The Muskegon Lakeshore is an area defined by its surroundings with 27 inland lakes, 27 miles of Lake Michigan beach and 400 miles of river. It's citizens work in healthcare, manufacturing, tourism, business services and more. It's an area full of development, cultural opportunities and year-round recreation that continues to evolve and excite. Muskegon is a region with a plan: to unite in successful enterprises, revel in stunning natural resources and amenities, support tourism and provide quality of life that includes a range of residential communities in safe, friendly neighborhoods. The knowledge-based economy is buoyed by the inventive entrepreneurs bringing the latest in technology and advancement to the area, as well as business owners who are the backbone. They're supported by family-owned businesses and service jobs that cater to visitors who flock to West Michigan to enjoy one-of-a-kind shopping opportunities, pristine beaches, protected dunes and lush lakes and rivers. Globally-minded citizens find a home in Muskegon, where well-paying jobs support families who volunteer in area organizations, boost local schools and boast about their hometown. The memories made in Muskegon County will stick with you long after your visit to our area. Experience the Lake Effect in Muskegon County. 26 miles of sugar sand beaches along the shores of Lake Michigan. camping, hiking, or pedaling over 60 miles of recreational trails. groomed trails at the Muskegon Winter Sports Complex. Time, Michigan Irish Music Festival, The Lakeshore Art Festival, Taste of Muskegon and many more! Whether you're looking for a nice evening out, or a downtown date at the brewery with local music, the Muskegon Lakeshore has plenty of options! The area has several unique and award winning museums including: the USS LST 393 Veterans Museum WWII Landing Ship Tank, Hackley & Hume Historic Sites which area restored Victorian-era Homes,USS Silversides Submarine Museum with World War II Vessel Tours, the Lakeshore Museum Center, James Jackson Museum of African American History, the award winning Muskegon Museum of Art, Muskegon Heritage Museum, the Scolnik House of the Depression Era and the Fire Barn Museum. Entertainment opportunities also abound! Muskegon is home to the historic Frauenthal Center for the Performing Arts, Muskegon Civic Theater, The Block - intimate performance venue, and a bustling nightlife with many live music venues. 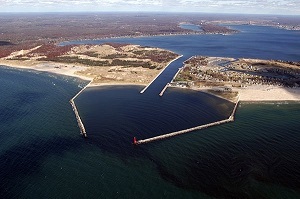 Forbes magazine ranks Muskegon as No. 11 nationwide for culture and leisure venues among cities its size. The Muskegon Lakeshore is connected by rail, roads, air and water. The Port of Muskegon is the largest deepwater port on Michigan's west coast, an important link to a global transportation system where 90 percent of all goods are moved by ship. The Lake Express High Speed Ferry also crosses the lake from Muskegon to Milwaukee during the spring, summer and fall. Michigan's Shoreline Railroad connects to CSX which offers connections to 70 ports and offers nationwide trans-loading and warehousing services. The area's divided highways and interstates include U.S. 31, I-96 and I-94. Rounding out the options for visitor and freight transportation is Muskegon County Airport providing air cargo, general aviation and commercial passenger service to Chicago O'Hare International Airport. Regional healthcare delivers seamless service! Residents of the Muskegon Lakeshore enjoy efficient, user friendly healthcare thanks in part to a new regional operation delivering more seamless patient directed service. Mercy Health Muskegon is part of Mercy Health –– the most patient-focused health system in West Michigan. It's founded on the belief that health care works better when patients and professionals work together. Mercy Health Muskegon offers the best of both worlds — quality, local health care, and access to specialists, technology and cutting-edge treatments throughout the region. Muskegon county benefits from an extensive network of primary care and specialty physicians, hospitals, and clinics providing expert, individualized care... from routine checkups and preventative care to cutting edge emergency services, women's health offerings, cardiovascular medicine and cancer care. Jan 20.0 F° 25.5 F° 31.0 F° 2.0 "
Feb 21.0 F° 27.0 F° 33.0 F° 1.9 "
Mar 27.0 F° 35.0 F° 43.0 F° 2.3 "
Apr 37.0 F° 46.5 F° 56.0 F° 2.9 "
May 47.0 F° 57.0 F° 67.0 F° 3.3 "
Jun 57.0 F° 66.5 F° 76.0 F° 2.5 "
Jul 62.0 F° 71.5 F° 81.0 F° 2.4 "
Aug 61.0 F° 70.0 F° 79.0 F° 3.4 "
Sep 53.0 F° 62.0 F° 71.0 F° 3.9 "
Oct 43.0 F° 51.0 F° 59.0 F° 3.1 "
Nov 34.0 F° 40.0 F° 46.0 F° 3.4 "
Dec 25.0 F° 30.0 F° 35.0 F° 2.5 "
The area is lucky in that it has the best of every season. With beautiful comfortable summers, blossoming springs, colorful falls, and graciously snowy winters... there's a season for everything! 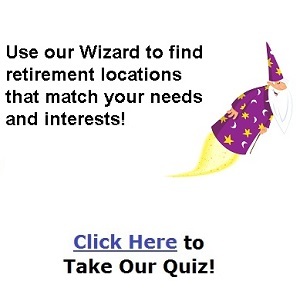 Condos Over 50 Communities Entering retirement? Muskegon Lakeshore has housing options to fit any lifestyle. From beach cottages to luxury homes, country estates to downtown lofts, you'll find it in Muskegon on the Lakeshore. With an average home price of just $90,000, living on the lakeshore has never been more affordable! Home care Senior center Visiting nurses Tanglewood Park, the home of a unique collaboration of four senior serving agencies, is the first of its kind in the country! No other facility in the country offers as many services for older adults under one roof! ?CALL 211 is a community access line for the lakeshore offering services and activities for older adults in our lakeshore region, Comprehensive information on community services, and A searchable database of community services. LifeCircles Program of All-Inclusive Care for the Elderly (PACE) offers support to you and your family with the goal of keeping you at home as long as possible. LifeCircles is a complete health care program that includes primary healthcare services, day center activities, in-home care, medical transportation and much more. People who have both Medicaid and Medicare pay nothing for the program unless admitted to a nursing facility or seek medical care outside of the approved network of providers. Senior Resources will connect you to resources for navigating and accessing older adult benefits and services including Medicare and Medicaid. Living independently for as long as possible. Pairing your own personal resources with community resources for a variety of long term care needs such as: personal emergency response systems, respite care, in-home care, medication management and much more. Care giving training, education and support services. There are many philanthropic and volunteer centered groups in the area. Seniors enjoy volunteering at area schools, for local festivals, at the library, for business and entrepreneur support and more!